Pop culture is full of weak villains with nonsense origins. And the latest James Bond film, Spectre, was Exhibit A for “villains ruined by ridiculous new backstories.” But it doesn’t have to be this way. Here are 10 villains who actually have origins that make them better and more monstrous. 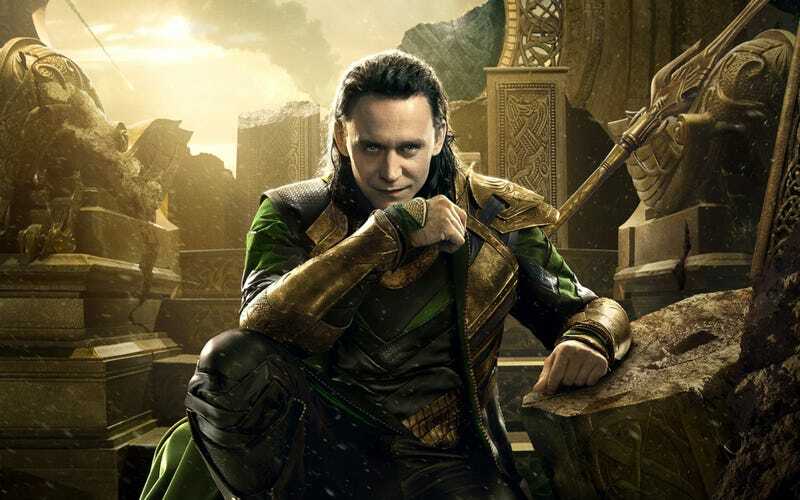 Loki’s backstory is a twofer of things that shouldn’t work: sibling rivalry and daddy issues. Being constantly in Thor’s shadow isn’t good for Loki’s overall mental health, and finding out that he’s adopted doesn’t help. This is a backstory that works, though—because it actually does enrich Loki’s actions, and because it actually works as an initial motive. Otherwise, you’re left with Loki going after Thor “because you’re there,” and that’s not nearly as interesting. Mr. Freeze is one of the few times a villain’s history has been retconned successfully. For the first 30 years of his existence, Mr. Freeze was just a Barman stock villain with an ice fetish, until Batman the Animated Series finally added depth to the character. In “Heart of Ice,” Paul Dini gave Mr. Freeze a terminally-ill, cryogenically-frozen wife. This is exactly the kind of thing that only works for comic-book characters, but it gave the character much needed depth. And an actual explanation for his fixation on ice. In Avatar: The Last Airbender, Zuko begins his journey as the main antagonist searching for our heroes in a bid to restore his honor. His distinctive scarring is the result of refusing to fight his father over a battle plan, which manages to tell you a lot about both characters, even if you’ve never seen the show. His resulting banishment provides his motivation, and the complicated family history makes it possible for him to have regular changes of heart in a believable way. There are a lot of reasons why Harley Quinn is so popular, but her backstory is definitely one of them. The eventual costumed-villain starts out as Dr. Harleen Frances Quinzel, an intern at Arkham. Fascinated by the Joker, she volunteers to analyze him. Which of course does more to her than it does him: she falls in love with him and goes mad, leading to a life of crime. It’s very nearly impossible to separate Magneto from his life story. Magneto’s childhood in Nazi Germany, watching his parents killed and then being sent to Auschwitz, are the foundation of his philosophy. It’s also what fuels his determination to protect the interests of mutants, above all else. And it’s this viewpoint that drove his split from Charles Xavier, the other point of his past that makes his villain status more interesting than the usual. One of the reasons—but so much not even close to the only one—that the treatment of Khan in Star Trek Into Darkness was such a mess was that the original Khan had a superb story when he was introduced in the Star Trek episode “Space Seed.” He was a genetically enhanced superhuman who conquered a huge swath of Earth during the Eugenics Wars of the 1990s (yes, remember when we battled genetically enhanced supermen in the 90s? The Clinton era was a wild time). He and a few dozen of his followers escaped justice aboard a sleeper ship. This backstory explained how a man who’s centuries displaced from his own time is such a threat. And it gives him a real motivation. Let’s add, too, that “Space Seed” acts as a great backstory to Wrath of Khan, giving depth to the vendetta that drives that film. One of the most impressive bits about Harry Potter’s big bad is actually the way that Voldemort’s pre-series life is slow-played. The first book tells us all about his campaign to take over the wizarding world, and his pureblood beliefs. The next book tells us what he was like in school. By the end of the series, we’ve learned all about how he splintered his soul and basically engineered Harry becoming his nemesis. With the realization that Voldemort was simultaneously the descendant of one of the most famous British wizards and a bigoted human family, everything else he does comes into sharp focus. While comics-verse Deathstroke has a pretty decent backstory, Arrow upped the game by making Slade Wilson into Oliver Queen’s true friend and ally back on the island of Lian Yu. Slade’s reveal as Deathstroke was all the more devastating because the show had shown, in painstaking detail, how hard the road for the two had been. While not the main villain of either The Hobbit or the Lord of the Rings, Gollum as an antagonist was definitely improved by further understanding where he came from. In The Hobbit, he’s a vicious little hoarder who lives in a cave. Through The Lord of the Rings we know that Gollum used to be a hobbit named Sméagol, and that his new mien is the result of the spell the One Ring had on him. It’s a story that not only adds depth to Gollum’s actions, but also acts as a horrible preview into what could happen to Frodo. You’ve got to hand it to Adventure Time for bothering to actually explain the “kidnapping princess” compulsion we’ve seen in fiction forever. Originally, the Ice King was just normal human Simon Petrikov—an antiquarian with a fiancée whom he called “Princess.” His acquisition of a crown caused him to experience visions and black out, scaring away his fiancée. Even though he’s now completely dissociated from the old Simon, his princess obsession remains.